Joy....absolute pure joy. These are the only words I can use to describe Kathryn & Paul's Cocoa Beach elopement ceremony. From Kathryn's first email on the morning of their marriage telling me today was already a great day to Paul's unstoppable smile before, during, and after the vows, I could tell these two had found their forever in each other and couldn't wait to get on with it. The rain moved out minutes before Kathryn & Paul's elopement ceremony at Lori Wilson Park in Cocoa Beach. Love this handmade bouquet incorporating all their friends and family from back home in New York! Mom and Grandma as their witnesses. Beautiful ladies. Paul: It’s interesting -- the time was just right. It wasn’t something planned around a grand vacation or set up with a surprise band playing or written with a plane in the sky. It was something that felt right, and it was time. No one agrees exactly when ‘the time’ is. But when you feel it, you can’t pretend it’s not there. We were on the couch, enjoying each other’s company, and I told her that I loved her. And somewhere in next several sentences, I (almost automatically) said “Let’s get married. Do you want to be married? Will you marry me?” It was really almost conversational, but there were tears of joy and lots of happy hugging and “I love you”s. Those smiles......did I mention joy earlier? I first met Rosaleen five months ago via a phone call from Kansas where she and her fiancee are attending school. She and Frank were planning a long distance wedding here in Tampa at the incredibly stately St. Paul Catholic Church followed by a red and gold holiday inspired reception at the gracious Spartan Manor in New Port Richey. Rosaleen and Frank met at the University of Kansas and knew within a short few months they belonged together. And so began the wedding planning in Tampa. They managed to juggle going to school and planning a flawless,family centered event full of laughter, good wishes, and killer dance moves. It was such a joy to be chosen to document the day! St. Paul Catholic Church in Tampa. Simply stunning! Rosaleen entering the sanctuary at St. Paul catholic Church. This image is one of my favorites that I've ever captured. Love that I caught them in a quiet moment waiting to sign their marriage certificate. You can see their friends and family in the reflection trying to figure out where they are. Rosaleen built a window of an hour into the day's timeline for couple formal portraits at the University of Tampa. Such a great, great idea! So much joy and happiness. Another one of my favorites! The University of Tampa side of the Hillsborough River...gorgeous sunset colors! Spartan Manor in New Port Richey was still adorned with twinkling lights and Christmas colors for the newlyweds reception. Such a great looking group! The hats and props from the photo booth provided by Josh & Christy Brown of www.mlprodjs.com were a huge success! Dear Mr. & Mrs. Cabano- Thank you so much for the faith you placed in me to capture such an important ocassion! Wishing you so much joy & happiness on your beautiful walk through life together. God bless! After several months of emailing back and forth, I finally had the pleasure of meeting Desiree & Jon on a gorgeous Saturday afternoon at the Florida Southern College Landing here in Lakeland. Desiree had requested old books, an old blanket, and a family photo of everybody (including the family pets) in matching Christmas sweaters for their engagement session. Yes, yes, and even more yes to all of the above. So loved trying to make their requests a reality! Love the outfits they chose to wear! This was entirely Desiree's idea and it turned out beautifully! Desiree & Jon- I cannot wait to be a part of your celebration in June! Thank you so much for choosing me to capture the memories of your special day! As a thank you, if we can get 18 comments on this blog post (there's that number 8 for you! ), I will add an extra hour of photography on to your wedding day. These two....where do I start? Have you ever heard that phrase "those two wild and crazy kids?" That explains Carrie & Jordan in all their wonderful, happy, include-everybody, always making somebody smile way, pretty much exactly. Their wedding was built with the love of family and friends. Everything from the big potluck dinner to a special dance for one of their ring bearers at the reception was designed to highlight community and togetherness. Even the list of photos Carrie wanted to capture was a testament to those around the couple and how much they were loved. Thank you allowing me to be apart of your beautiful, music and laughter filled day! 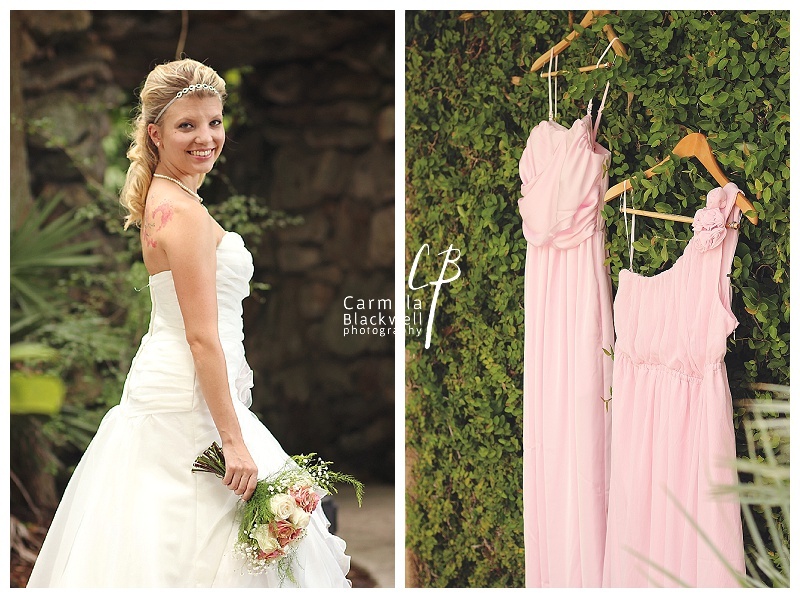 Let's start this off right here with Carrie & Jordan's first look...one of my favorite times of the whole day. Carrie, you looked so amazing walking towards Jordan that he couldn't take his eyes off you....love. Family & Bridal party formals next...no shoes...adored it! One of my favorites from the day. A moment of prayer before the ceremony with the pastor. Yes, yes that is Jordan trying to sneak an extra kiss. Carrie and her bridesmaids and friends spent many hours designing little special touches for the wedding. Loved all the sweet signs. On a gorgeous, hot Friday morning in September, I met Mrs. Inez Shepard at Disney's Magic Kingdom for her wish fulfillment from the organization Wish of a Lifetime. Mrs. Shepherd had worked for 15 years in the shipping and receiving department, supplying goods to such places as The Emporium. It was at Disney where she met the love of her life who she was married to for 20 years. Mrs. Shepherd's wish was to visit the park one more time to see all the changes that had taken place in the many years since she had been there. She wished to say hello again to the location that played such an important, happy part of her life. I was blessed to be chosen to tag along and capture these new memories for her. There was a classic beauty and grace that radiated from Mrs. Shepard, a kindness of the soul shining through her eyes. I tried to capture some of that in her photos. On a rainy Saturday afternoon, I met Emily & Caleb in Ybor City for their engagement session. The very first thing I noticed was Caleb's courtly way of holding the umbrella for Emily while also keeping a hand out to keep her from stumbling. Reminded me of a scene from Gone With the Wind...so gentlemanly and protective. The second thing I noticed as they got closer was Emily's smile. Emily has one of the prettiest most contagious smiles I've seen. Every time she smiled, Caleb and I had to smile too. And that worked out pretty well for their photos. We started out under cover in Ybor City to give the rain some time to settle down. Love the vibrancy of the colors Emily & Caleb chose against the old brick buildings around Ybor Square & The Creative Loafing Loft. The most Awesome (with a capital A) smile! so we headed on over to Centro Ybor. I met Carrie & Jordan in between rainstorms at Lake Mirror Promenade this past Saturday. These two made me laugh before I even fired off the first shot. They made me laugh in that comfortable, known-somebody-for-a-long-time kind of way. It was just about enough laughter to chase away the rainy day. In one of Carrie's first messages to me, she said she was happiest in her Jordan's arms. That soon proved true. She was never very far from those arms and the happy smile was never very far from her face during our time together. Love Carrie's smile...one of my favorite photos from the set. And right after all the rain that ended our session, came the rainbow. Last year, after dating several months, Bob planned to ask Lonnie to marry him on Christmas day. But after asking Lonnie's visiting mom Cheryl for permission to marry her daughter and then dropping Cheryl back off at her hotel, Bob couldn't wait any longer. As Lonnie & Bob were walking back to the car across the parking lot, Bob told Lonnie he wanted to spend the rest of his life with her, forever and ever and then some. Lonnie, not realizing what was going on simply said "deal." Bob instantly dropped to his knee, said "really? ", and offered Lonnie her adorable Mickey Mouse engagement ring. Lonnie and Bob made good on that deal last Saturday. They were married on a rainy, thundering afternoon outside but inside there was nothing but laughter and warm wishes for the happy couple from their surrounding friends and family. Lonnie loves all things Disney and especially the Disney movie Tangled. 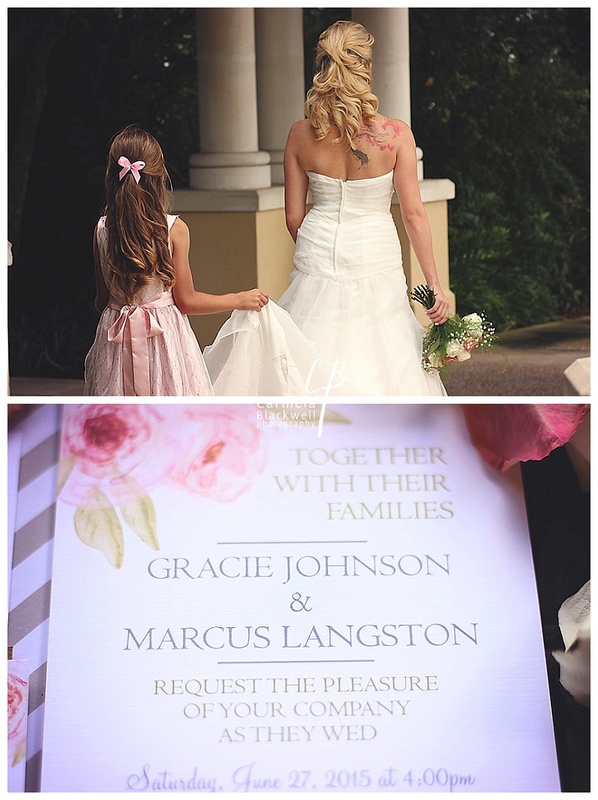 This was reflected in everything from the flowers in her cascading hair to the quote on the top of their wedding cake. Here is a little journey through the newlywed's "Best Day Ever." Lonnie's dress made her look just like a princess from every little girl's dream. 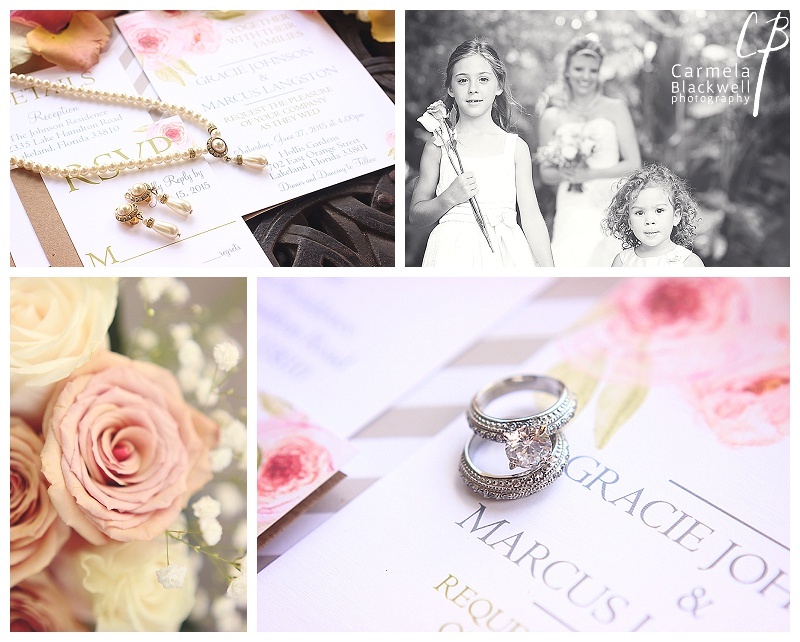 Love the Mickey Mouse engagement ring and the invitations with the floating lanterns. All the little details to create the Tangled theme were gorgeous! Just down the stairs from the spacious bridal suite, Bob was excitedly waiting for the first glimpse of his soon to be wife. And then, the beautiful princess was ready. Is there anything better than seeing your intended's smiling face waiting for you? The kiss...always a favorite moment! May I introduce Mr. & Mrs. Robert Jones? These two never stopped smiling for the rest of the night! Lonnie and some of her Sigma Kappa sisters. So lovely, they were able to join the festivities. The very best day ever! Handmade "Tangled" inspired Christmas ornaments...so creative! Standing out in the rain at the end of the reception as everybody was leaving. No cares, no worries, just the brand new promise of their vows and two hearts full of love. Lonnie & Bob- hoping that every day for you is the "best day ever" & wishing you much joy and happiness on your walk through life together. What I don't have anymore is the cigarettes. What I do have is coffee. And these early morning walks in foreign cities over cobblestone streets and through half deserted municipal gardens. I have an hour of stolen time while my three fellas are still sleeping back in the hotel. An hour of joy and silent discovery. An hour. A lifetime. A life. My life. Traipsing over sidewalks as many women before me have done. Savannah, St. Pete, Chicago. Moving backwards in time reading building cornerstones. Lovely. And then, as the coffee runs out and people begin to appear, turning back to my family, returning with new dreams and a calmness inside, already planning my next walkabout. Walkways leading to Upper Factors Walk. Savannah. Gravestones lining the back wall of Colonial Park Cemetery. Most of them are so old the engravings are illegible. Cloud Gate. Chicago. I love the reflection of the skyscrapers. Jay Pritzker Pavillion at Millennium Park. Amazing design. It all started with macaroni & cheese. I met Ashley & Chris this past Saturday at Florida Southern College in Lakeland, FL for their family session and to find out a little about their story. The two were introduced at a barbecue party by mutual friends. When asked, Chris said one of the first things that attracted him to Ashley was her macaroni & cheese. They say the way to a man's heart is through his stomach & Ashley definitely has that figured out! There's a warm glow of happiness surrounding Ashley & Chris. It's an amazing thing to be around. This session wasn't about only them though. They brought along two of the cutest little people and I love little people. Everybody ready for more cuteness? These two just about cornered the market on it! And I love, love, love that Ashley brought her Grandmother. There is nothing like being able to have these pictures to look at years down the road. I met Susan & Paul this past Saturday at Hollis Gardens here in Lakeland. These two are one of the most vivacious couples I've had the pleasure of photographing. They have a presence about them that steals whatever stage they find themselves on. Effortlessly, they fell into perfect position with little direction from me. On a mild May evening, Susan & Paul had their first date at the Black & Brew in downtown Lakeland. Just having coffee that evening wasn't enough. The two needed to spend more time getting to know each other. That decision led them down to the lake Mirror Promenade and to Hollis Gardens for a walk. Susan's smile when she looks at Paul can only be measured in megawatts. Paul did an excellent job of keeping that smile turned on. So awesome to be around! Love the richness of the colors Susan & Paul chose to wear. So striking against the colors of Lake Mirror theater. And again in Black & White. Can you tell this is my favorite picture of the two? Susan & Paul, I loved meeting you and having the chance to capture some of your magic. Wishing you much joy and happiness on your walk through life together. 2:00 o'clock Friday afternoon, June 26th, Hollis Gardens at Lake Mirror: It was hot. It was drippy wet, ring-your-shirt-out-three-times-in-an-hour hot. And my lovely models, well they did amazing in my vintage,pink styled editorial shoot. 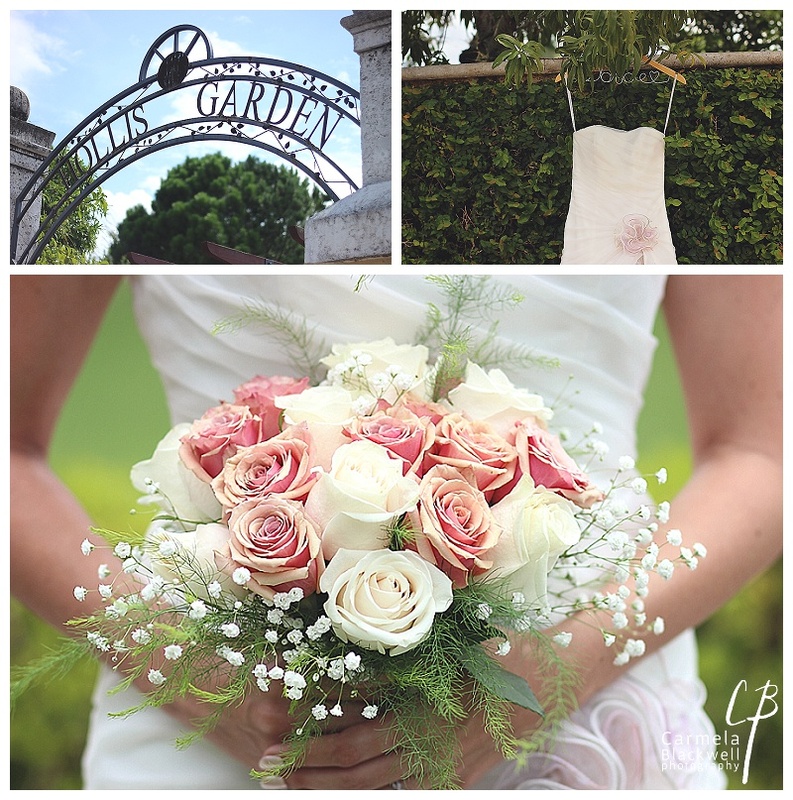 Hollis Gardens is a beautiful location for a wedding that the City of Lakeland rents out regularly. Attached are plenty of locations for your wedding reception such as the Magnolia Building, the Peggy Brown Building, or Lake Mirror Tower. This past May, I was able to be apart of the Fontan's fairy tale wedding at the beautiful Huntington Hills Country Club in Lakeland, Florida. So much joy and happiness in the union of these two. I loved seeing the incorporation of their children into the ceremony when Rafael gave each of the children a necklace to symbolize the family circle and his love. There wasn't a dry eye in the place. Thank you for inviting me into your special day! I hope your Disney honeymoon was outstanding!